WireSet handles all aspects of the QuickWire suite configuration. Both of the QuickWire NT Services can be stopped, started, installed and remove via WireSet. 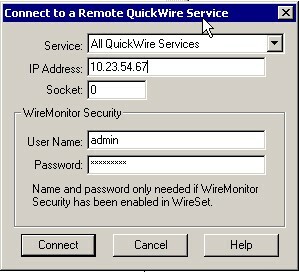 QuickWire configuration is contained in the Windows Registry. 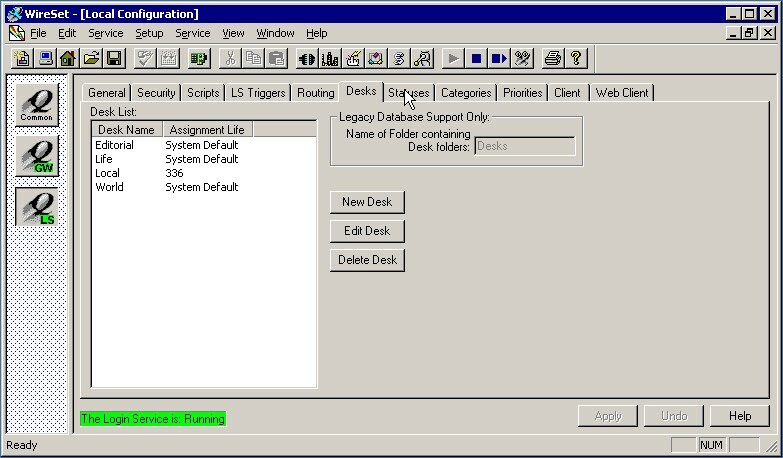 For backup purposes WireSet will also save the configuration to a file. Ports can be added, deleted, edited and disabled from this tab view. Users can post stories to any desk as well as query on files that reside in (or have resided in) a desk. Profiles can be created to help translate the stories ,reassign fields or set an alternate purge life. 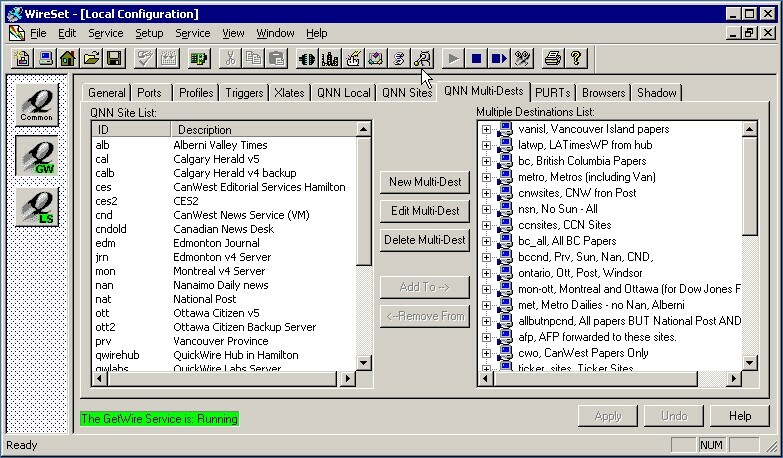 Triggers are used to run actions on stories that are to be copied outside of the QuickWire database. Setup automatic news and photo distribution. 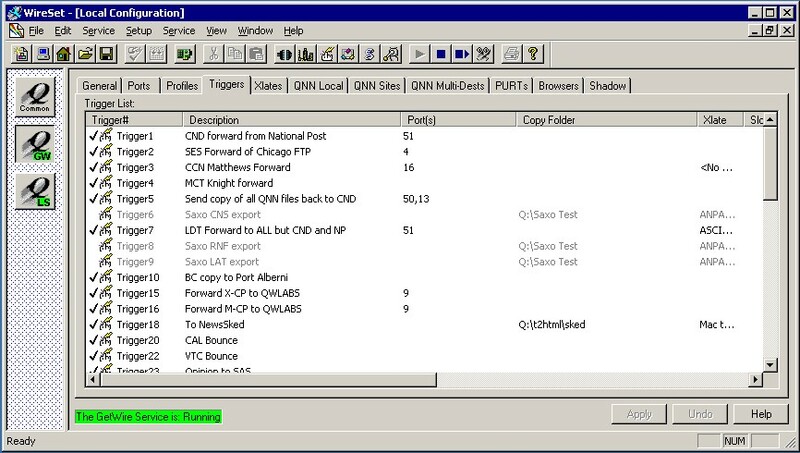 Open remote QuickWire configurations on your WAN.